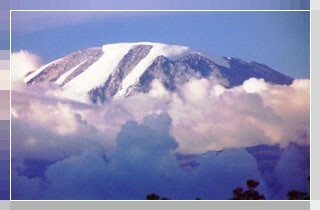 Machame is the best place for acclimatization before climbing Kilimanjaro. Lies at the base of Mt. Kilimanjaro, its unique situation happened to attract many climbers who use Machame route. The has beautiful valleys, rivers, waterfalls and farms. The Safari start with a visit to the Machame Cultural Tourism Programme Office at Kialia:- A one-day tour to Nronga Women's Group, which involves hiking through natural forest towards Nronga village. Short Visit to Kalali Women's Group, specialists of cheese production. Local women group can prepare the delicious local food. You will get an opportunity to lean/know the life-styles of the local people around Kilimanjaro. The last thing at Machame is to get a nice and clear view of Mt. Kilimanjaro.